Alaska Airlines will end its daily Los Angeles-Havana flights in January, but it says restrictions that President Donald Trump imposed on travel to the island last week were just the last straw for a route that was already struggling. 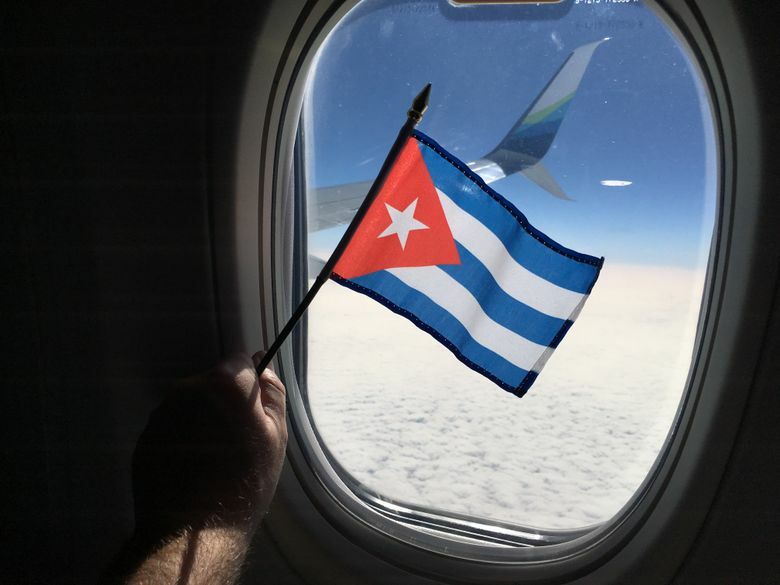 Alaska Airlines will end its flights to Cuba in January, a year after launching a daily Los Angeles-Havana route that began with great fanfare but was fading even before President Donald Trump last week imposed new restrictions on travel to the island nation. After its 737-900ER makes a final Havana flight on Jan. 22, Alaska initially will use that jet to add an eighth daily run between Seattle and Orange County, California, said John Kirby, the airline’s vice president of capacity planning. Travelers with tickets after Jan. 22 can either be rebooked on other airlines at no cost or be refunded their money, the company said. Seattle-based Alaska is not the only airline to back off initial Cuba plans. American Airlines announced in November 2016 that it would reduce its number of flights, before Alaska had even started operating. Smaller operators Silver Air and Spirit Airlines subsequently dropped their flights, and Frontier ended its flights from Miami to Havana in June. Alaska was among many contending for the 20 initial daily flights to Havana doled out by the U.S. Department of Transportation under an agreement with Cuba. It then had to fight off a challenge from JetBlue, which questioned why Alaska wasn’t able to start service in November as originally scheduled. Alaska’s first flight to Havana, on Jan. 5, carried a television crew as well as a trade and educational delegation including University of Washington President Ana Mari Cauce, who was born in Cuba. “Initially we saw a lot of demand” as the spring tourism season began last March, with Alaska’s 178-seat planes heading to Cuba “more than three-quarters full,” Kirby said. The following month, flights reached 85 percent capacity. But this fall “we saw bookings drop off precipitously,” he said. “The hurricane season didn’t help,” as a record-setting storm season lashed both Cuba and the Southeastern United States. The White House said in June it would reverse some of the travel policies that followed the Obama administration’s re-establishment of diplomatic relations with Cuba in 2015. Those new travel rules, which took effect Nov. 9, mean most Americans will, once again, be required to travel as part of organized tours run by U.S. companies. Although Alaska now operates the only nonstop flights to Havana from the West Coast, it has been a small player overall in the Cuba market, according to data from CAPA, an Australia-based aviation research firm. As of June, CAPA reported, American Airlines led with 34 percent of available seating capacity between the United States and Cuba, followed by Southwest, JetBlue, Delta, United and finally Alaska with 4.5 percent of the total seats. The acquisition of Virgin America has also meant that Alaska has “more opportunities than aircraft,” providing good alternative uses for the jet now used on Los Angeles-Havana flights, Kirby said. The airline said it has added 44 routes this year and is planning for nearly 8 percent network growth in 2018, primarily by bolstering capacity in its existing markets.